Between 1939 and 1945 more than seventy British men and women were convicted – mostly in secret trials – of working to help Nazi Germany win the war. In the same period, hundreds of British Fascists were also interned without trial on specific and detailed evidence that they were spying for, or working on behalf of, Germany. Collectively, these men and women were part of a little-known British Fifth Column: traitors who committed crimes including espionage, sabotage, communicating with enemy intelligence agents and attempting to cause disaffection amongst Britain’s troops. Four of these traitors were sentenced to death: two were executed, whilst most of the others received lengthy prison sentences or were interned throughout the war. 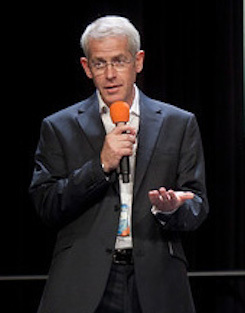 The traditional history of the Second World War dismisses the idea of a Fifth Column in Britain as either a press-inspired panic or a scare story put forward by MI5 to justify the internment of thousands of “enemy aliens” – Italian and German nationals who had settled in Britain after the end of World War One. But official files, de-classified piecemeal and in remarkably haphazard fashion in the years between 2002 and 2017, reveal the truth: that hundreds of British traitors willingly betrayed their own country in the hope and anticipation of a German victory. 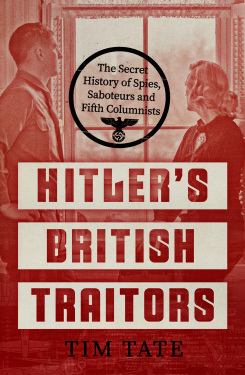 Hitler's British Traitors is the first authoritative account of the British Fifth Column and of the extraordinary methods adopted by MI5 to catch its members. Drawing on a wealth of unique primary sources, including hundreds of de-classified official files – many of them previously unpublished - as well as private diaries and contemporary newspaper reports, it reveals the extent of the treachery by homegrown Fascists as well as the ingenious efforts of the Security Service to foil their plots: ground-breaking electronic eavesdropping, posing as Gestapo agents, deliberate entrapment and the pioneering use of rudimentary electronic bugging devices. In a disturbing parallel with 21st century Britain it also shows that popular fears, driven by the press, largely focussed on immigrants while the real threat was from British men and women who, at the time of their country’s greatest danger, actively sought to help Hitler win the war. "The extent to which the British far right supported Hitler has largely been suppressed. Now Tim Tate's absorbing study offers a bracing reappraisal of their sympathies." "Tate’s formidable scholarship paints a picture of Britain during the war that is a far cry from the reassuring story told about our collective heroism of a nation united under the banner of Keep Calm and Carry On. " Tim Tate’s Hitler’s British Traitors: The Secret History of Spies, Saboteurs and Fifth Columnists is ‘Book of the Week’in the Times today. Tim Tate’s Spies, Saboteurs & Traitors: The secret history of Hitler’s British Fifth Column has been optioned by At Land Productions. At Land Productions Ltd have optioned Tim Tate’s Spies, Saboteurs & Traitors: The Secret History of Hitler’s British Fifth Column recently sold to John Blake. Icon have bought World English rights in Tim Tate’s Spies, Saboteurs & Traitors: The Secret History of Hitler’s British Fifth Column, a new study of World War Two traitors which will be published next year.